WhiskeyWarm had the most liked content! If it's not too much effort I think it should go ahead. 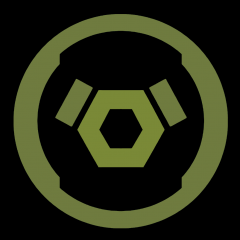 I dropped MCC pretty quickly when I realised that whatever was forged was unplayable in a ten person lobby (which I assume they fixed), but I'm sure a few people put a lot of effort into MMC forge and they should be recognised. I agree with Bean, it can't hurt. Also, as I haven't been around, I have no idea what the best tracks in MCC were. I'd love to see them and get some inspiration for H5. Ooo one more thing, with H5 launching soonish, maybe having a BOMCC will look good to the influx of new race forgers. Reddit AMA with Ducain: Worth a read, definitely exciting. I'll check him out. I didn't mean to imply they were full forge maps just that Regret-Truth and Eden-Empire are forge variants of each other. I feel it's a weird step to change a map so drastically then re-release it for week 2 of the beta. Couple of things to add: Breakout maps are clearly forged (there's a ramp on the left of the narrow map that goes over the barrier and you can see that it's a forge piece). But the most interesting thing is the map barrier, it conforms to the map geometry perfectly and clearly isn't made of smaller blocks. This may hint at custom sizes/shapes for zones and maybe objects. The current slayer maps are clear remixes of the old slayer maps. On the human based one it looks like a clear forge remake, but the covenant map have extra terrain and BUGS. Could mean they're not forge variants OR could mean a more sophisticated forge. Tempted to make videos for all the little switch gadgets I come up with, would anyone watch them? Okay fair enough, that makes sense. So spawn sequence actually does nothing? I swear I tested it without the spawn sequence and it failed. Is that proven to work? Yeah I set that up for Sepia, and it doesn't seem to work. I'll do some more testing tonight. On death, racers don't respawn at the last checkpoint they crossed (like Reach and H4 mod). They respawn using the standard respawn mechanic, which basically means the start for most races, and randomly for others. Who needs sleep anyway? Put me down. You have to get it directly from people in game (by clicking them then player details...) Easiest is adding people, but you can find them on the campaign leaderboards too. At any rate, I have a track, called Sepia.